Biddle Sawyer Silks have been producing fine quality silks since 1926. Their relationships with suppliers begin at the farm, not the weaver, and to control quality they guarantee all their products begin life in the right way, under the correct conditions. As the raw material travels through harvesting, spinning, weaving, dying/printing and finishing they work alongside suppliers to make sure every part of the process is controlled. 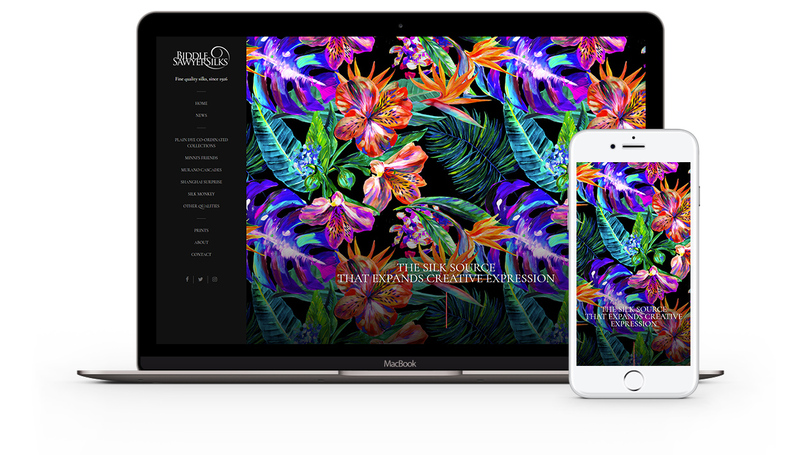 We produced a stunning, highly image-led website that showcases all of their available silk collections. Building the site in WordPress, we created a simple colour browser, and also photographed all of their highly detailed silk textures. The site is perfectly responsive on tablets, smartphones, laptops and desktops.